Few phones are as polarizing or well covered as Google’s Pixel line. The latest Pixel undoubtedly won’t sell anywhere near latest Apple iPhone or Samsung Galaxy, yet still manages to occupy the smartphone world’s airwaves. Coverage of every little Pixel feature and (countless) leaks bring in significant eyeballs and the comments sections are filled with both haters and fans alike of Google’s take on Android. With the Google Pixel 3 devices, there are plenty of reasons for either side to speak up. There’s no doubt that the Pixel 3 XL had its share of problems at release. For a phone with a high price tag, it can be argued a buyer isn’t exactly getting a lot for the money. We have 4GB of RAM, one camera lens, no expandable storage, a (really) big goofy notch, no advanced facial recognition, a top storage tier of 128 GB, and the list goes on. There are plenty of places to take shots at the hardware choices Google made this release cycle. I had a couple of incredibly irritating bugs including the hilariously dumb “second notch” and audio streams closing when taking a photo. Taking all the annoyances into consideration, my take on the Pixel line is: It just doesn’t really matter all that much. I don’t mean to excuse any of these bugs or hardware choices. I would have preferred 6 or even 8GB of RAM for the price tag, even if Android wouldn’t use it well. And sure, maybe an extra telephoto or wide-angle camera lens would have been nice—Google seems to think it makes sense for the front, after all. At the end of the day though, there are a lot of little features or just general niceties to make the Pixel a real joy to carry every day and I’m going to go over a few of these well thought out features for normal users. First, the notch. It’s huge—unapologetically huge—and always present. Personally, I think it looks pretty silly, especially in promo images. It also doesn’t really exist for anything. You don’t gain a ton of useable screen space, just a really tall status bar. I also ran into a hilariously stupid bug where I had a second software notch. However, all of my non-tech nerd “normal” friends just don’t care. It doesn’t bother them, and the screen itself is actually pretty great this year. Mostly, they just see a big smartphone with a bright OLED and they seem to mostly like it. DisplayMate gave the display high marks as well. 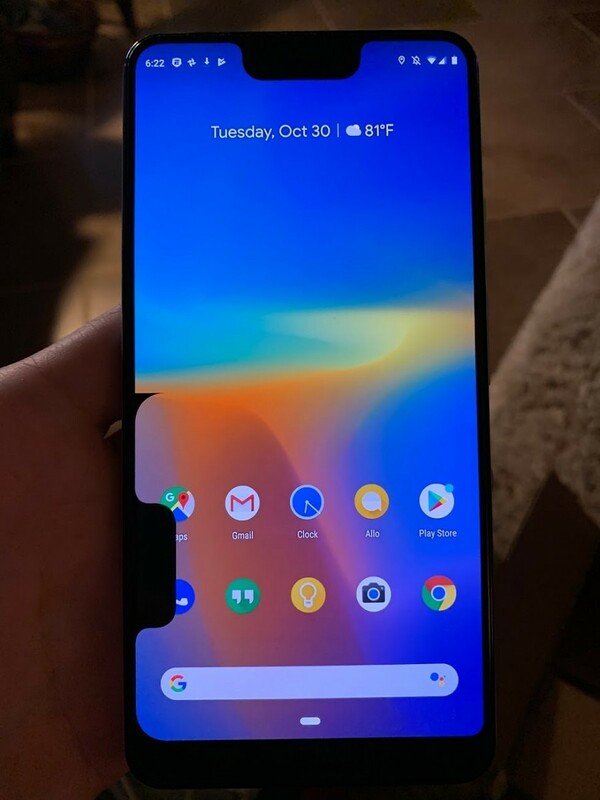 So even with the notch, we’re looking at a better display than the Pixel XL or Pixel 2 XL. Another absolute winning feature is Now Playing. The Google Pixel phones keep a local database of “tens of thousands” of songs (more explanation here) and will passively display the currently playing song on the bottom of the lock screen and in the notification shade. Recently my wife and I went to a concert with another couple who had iPhones. We had our Pixel 3 XL and Pixel 2 XL and during the concert, the Pixels kept identifying the songs we were hearing live. They were both pretty impressed. It’s not until you carry a Pixel around daily that you realize just how often there are “Who sings this song?” situations. It’s a complete luxury, but one that is sorely missed after being accustomed to it. Third, but most dear to me, is the camera. At first look, we don’t have a truly incredible package from a hardware point of view. 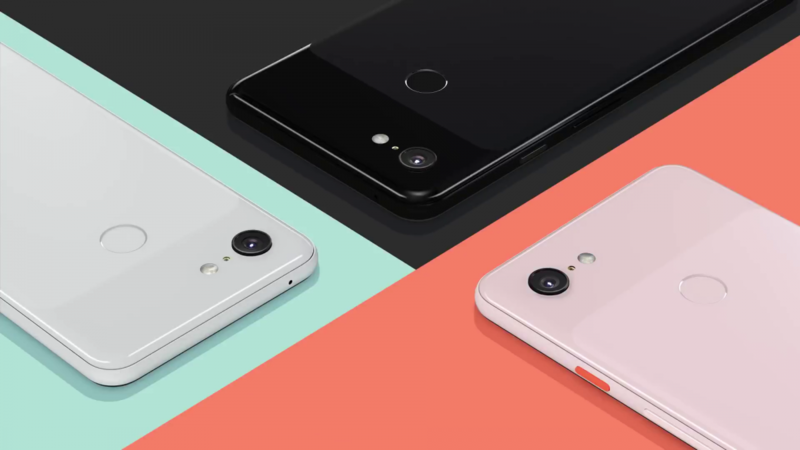 In fact, the Google Pixel 3 XL is using a 12.2 MP, f/1.8, wide-angle sensor, just like the Pixel 2 XL. I’m sure there are minor hardware tweaks, but on first glance, it doesn’t leap off the specification sheet. Specs and number of lenses aside, I just absolutely love this camera. The results are excellent. I have to try to not be effusive. I’ve used a Sony Xperia XZ2 Premium, Huawei Mate 20 Pro, Samsung Galaxy Note 9, iPhone XS Max, and many other devices and my absolute favorite camera is on the Google Pixel 3 XL. Google can also keep adding to the camera’s software. We received Night Sight shortly after launch. To most users, Night Sight is an absolute mind-blower—lighting up pitch black scenes to produce usable photos. The camera is terrific, and in my opinion, no other OEM image processing in the Android world is at the same level. Another minor, but clever, feature is Active Edge. Once I showed my wife, she took to it pretty instinctively. Of course, a button like LG provides, or even just an on-screen button can both bring up the assistant. Active Edge isn’t a paradigm shift or anything; it’s simply a nice way to set reminders or ask Google a question. Somewhat tangentially related to Active Edge, the Google Pixel 3 has phenomenal haptics. I’ve not used an Android device (the iPhone’s Taptic Engine is still a class leader) with better haptics. The Google Pixel’s feedback with Gboard, a notification, on-screen UI interactions, or Active Edge just feels terrific. Since we got wireless charging back with the newest pixel devices, Google has expanded its accessory ecosystem with an official first-party charger. The Pixel Stand sells for a pretty hefty $79 here in the US. That’s decidedly not cheap for a wireless charger. Thankfully it comes with a few features to try to justify the price. The Pixel Stand integrates with Google Assistant, provides fast charging, has great build quality, enables Do Not Disturb, and can wake you up with ambient light. But the really impressive feature for the normal user is the photo slideshow. When you put the Pixel 3 on the Pixel Stand, it can be set to cycle through your Google Photos albums of choice. Just like the Google Home Hub, or the assistant devices with Displays, it presents a really nice slide show of your favorite memories or people. It’s a great feature that you can definitely live without, but one of many that stack up together to build a great experience. And finally, Google’s technical support is built right into the Pixel’s settings app. Straight from the device, you can speak with a Pixel Support team member and get technical support, or start an RMA. If covered by the optional Pixel warranty, Google will set up a quick hardware exchange for severe problems as well. I find this kind of support to be better than something like the Apple store, where one needs an appointment and has to deal with crowded “genius” bars. My point here is by no means to argue that the Google Pixel 3 XL is problem free—it isn’t. It’s not the perfect device and there are undoubtedly compromises as with any device. Google has made some weird choices and things like 4GB of RAM are definitely disappointing. I just don’t think it matters for the normal consumer, or me for that matter. Google has created some truly compelling features that the average user will really enjoy, and they might keep them coming back. Right now, the Pixel series is “on sale,” or “price lowered” from Google themselves. If nothing at MWC is blowing your mind, or you simply want a great user experience with a spectacular camera, it’s a great buy, I love mine.